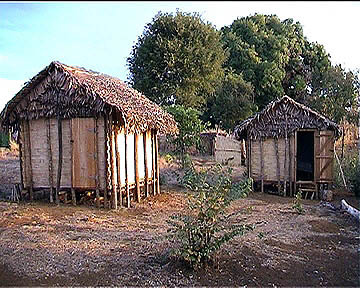 Bungalows in Mahamasina just at the east-entrance of the National Park. 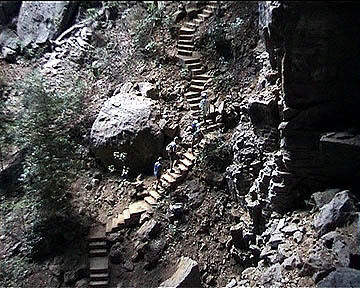 The 'staircase' to the Bat Cave where among others the giant fruit bats are living. 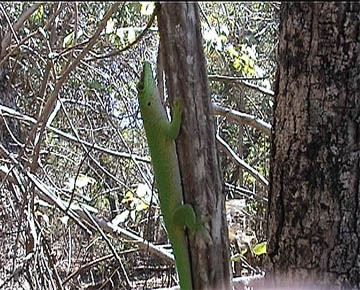 The big shiny green geckos are quite common in this area. 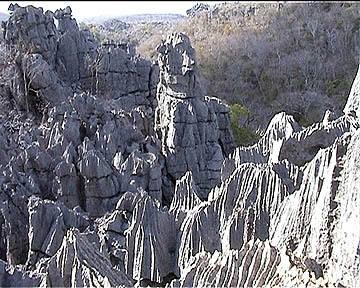 The small Tsingy in Ankarana is just a short hike from the Bat Cave. 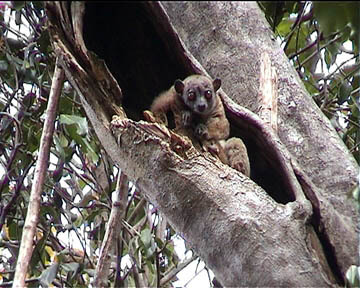 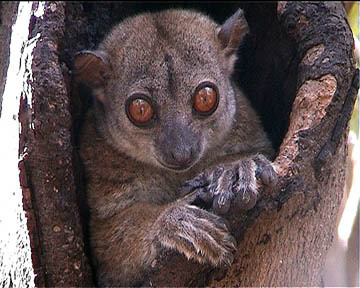 The nightactive small lepilemurs looking out blindly from their cavity in the trees.